Danner main page Final episode. Danner threatens me! Previous episode of "Team Danner"
So where is Bollyn? And why is Team Danner claiming that Bollyn has been lured to Chicago? Here are three possibilities. Three possible ways to explain "Team Danner"
1) Sam Danner is being set up by his Jewish "friends"
I've seen dramatic changes in the "truth movement" and in the Jews since 2002, when I first got involved with exposing 9/11. Back in 2002 only a few people thought that Jews were responsible for 9/11, and most of us believed in the Holocaust and the Apollo moon landing. I didn't even know about the Armenian genocide of 1915. However, because of the Internet, an enormous amount of information has been spreading around the world about Jews and their crimes. Anger is building towards Israel, Zionism, the Rothschilds, and other Jews. The majority of people are trying to ignore all of this information, but eventually the minority that is angry will be so large and so disgusted that the military and police will be under pressure to get involved, conduct investigations, and get rid of these criminal Jews. I would bet that a lot of the smarter Jews realized years ago that they are in very big trouble, and I would bet that some of them have started to abandon their network, and others have made deals to turn on the network in return for some type of protection. 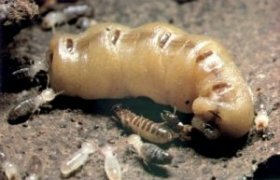 The Jews like to think that they behave like a giant termite colony that will die for their cause, but that's not what human history shows. Did you hear about the Jew who recently turned against other Jews and exposed their money laundering and human organ sales? Who would have guessed that such a dishonest son of a Rabbi would turn on other Jews? But he did! Initial news reports such as this and this did not identify the informant, but eventually it came out that he was Solomon Dwek, the son of a rabbi. One thing we can count on with criminals is that they are so selfish that they will turn on their best friends. So, it's possible that some of the Jews are now trying to set up other Jews and non-Jews to take the blame for 9/11 and other crimes. They may have told Sam Danner to try to manipulate me so that there is a record of him trying to fool me into thinking Bollyn is free. When the military and police start investigating the Jewish crime network, some of the first wolves in sheep's clothing that they will notice are those in the "truth movement", such as Sam Danner. If the Jews set up thousands and thousands of people like Sam Danner, then the police and military may be so busy arresting those sacrificial fools that the police may never notice that there are thousands of other Jews hiding in the background. It's possible that when Sam Danner first contacted me, his Jewish supervisor was fairly intelligent. But that supervisor may have since realized that the battle is over, and the Jews have lost, and he may have abandoned the network. If the smarter Jews are abandoning the network, that will allow a lot of the stupid Jews to become managers. Sam Danner's new supervisor may be an idiot. His supervisor may be so stupid that they thought they would fool me into thinking that Christopher Bollyn was in Chicago, even though they couldn't write a proper e-mail message. Perhaps Sam Danner doesn't have a supervisor any longer! Perhaps he's on his own. This is another way to explain why he wanted me to remove the photo of his wife, and my remark that she is Jewish. This would also explain why his e-mail messages were so incredibly sloppy; he didn't have anybody to review his messages!